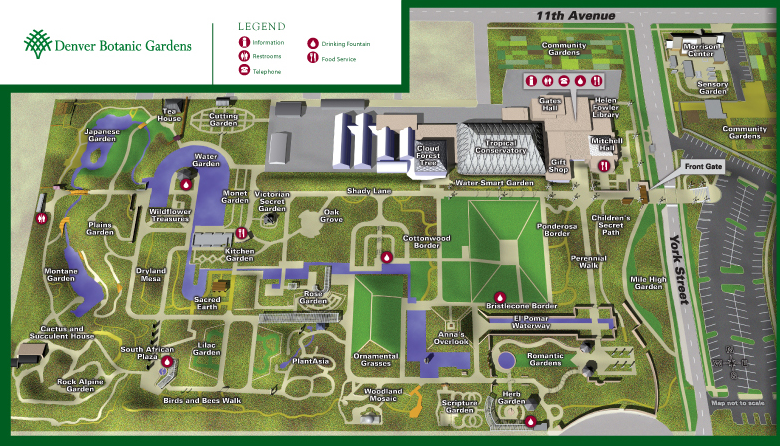 I am fortunate to live within a short walk across the park from one of the city’s greatest attractions, the Denver Botanic Gardens. 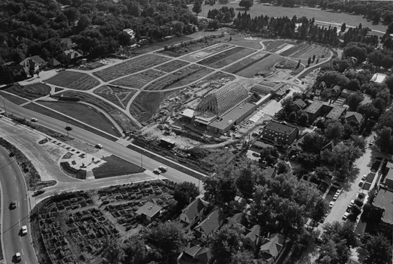 Located on the east side of Cheesman Park and started in 1958, this inner city 24-acre oasis is now part of one of the country’s largest and finest botanic gardens. Denver Botanic Gardens “maintains distinctive gardens that define and celebrate our Western identity and a unique high altitude climate and geography. Many of its innovative gardens are models of drought-tolerance and showcase native and adapted plants that thrive in Western gardens. 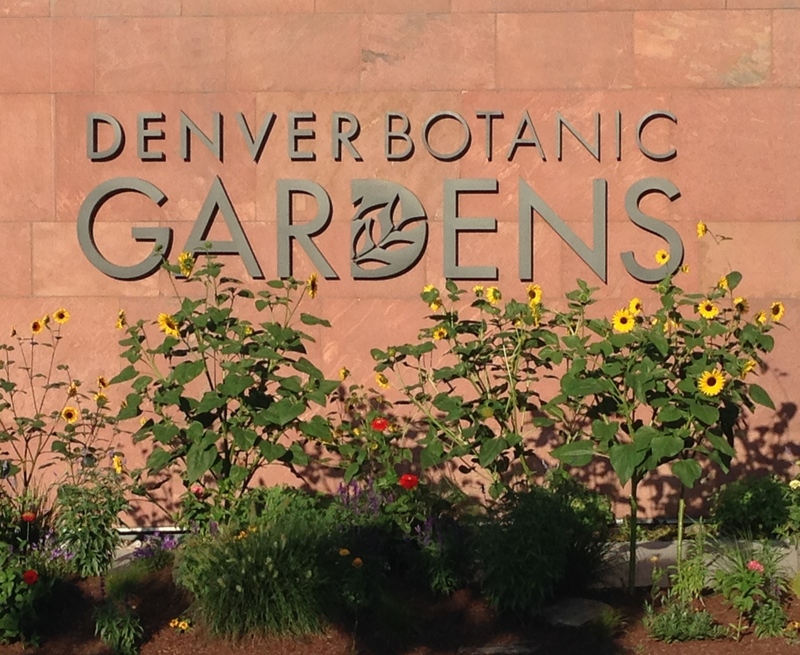 It also presents a wide range of gardens and collections that illustrate an ever-widening diversity of plants from all corners of the world, from authentic Japanese Gardens to plants native to South Africa.” For more information about the Denver Botanic Gardens, check out: Denver Botanic Gardens. Within this setting, the Denver Botanic Gardens is presenting the Rocky Mountain Region’s first major outdoor exhibition of artwork by celebrated American artist, Dale Chihuly. 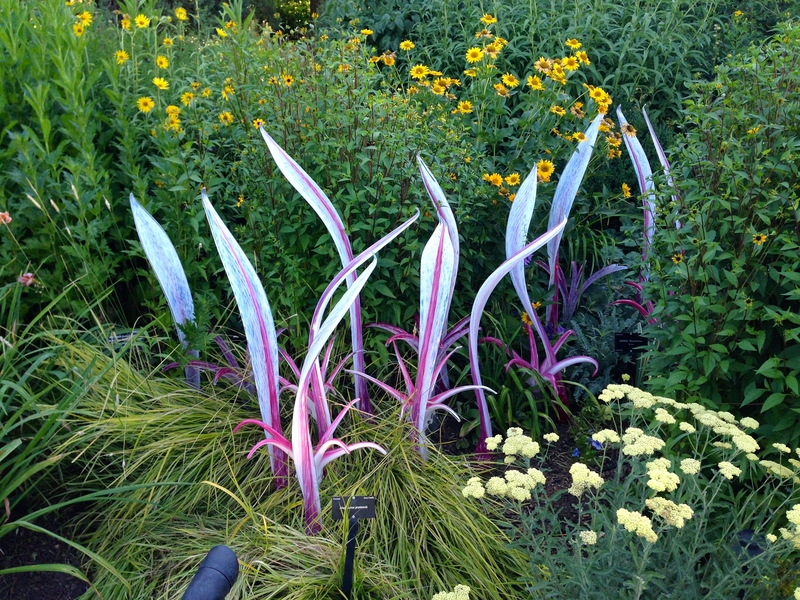 Chihuly’s sculptures add bold colors and dramatic beauty to the Gardens. Chihuly is credited with revolutionizing the Studio Glass movement and elevating the perception of the glass medium from the realm of craft to fine art. He is renowned for ambitious architectural installations around the world, in historic cities, museums and gardens. The unique pieces displayed here are being sold at the Botanic Gardens as part of the special Chihuly Exhibition, with prices in the $6,000 to $7,000 range. Three of the pieces sold the day I was there, so his creations are obviously in demand!